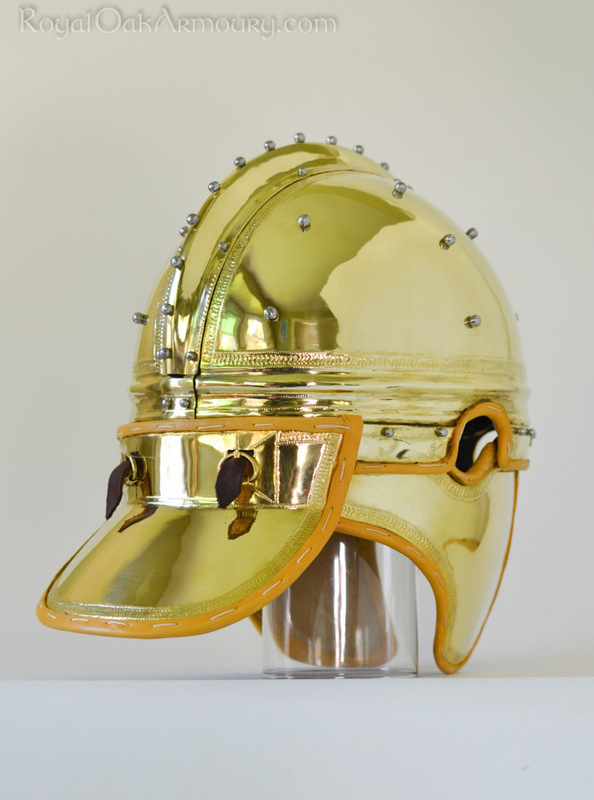 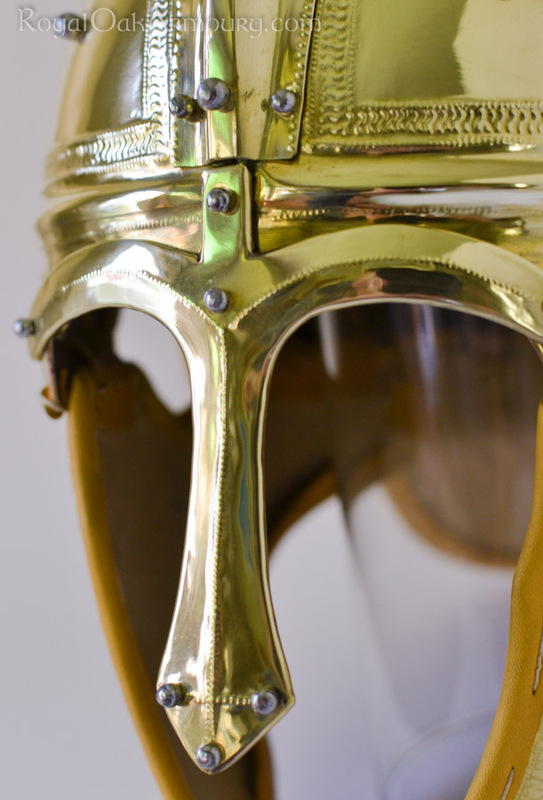 This Late Roman ridge helmet is based on the gilt silver helmet foils of a helmet recovered from Berkasovo, Serbia. 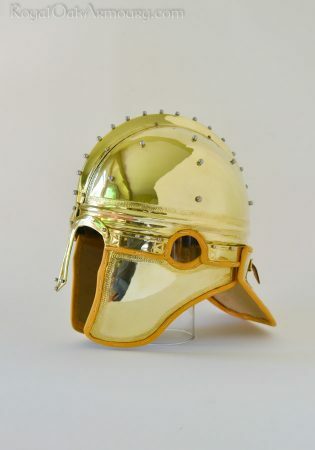 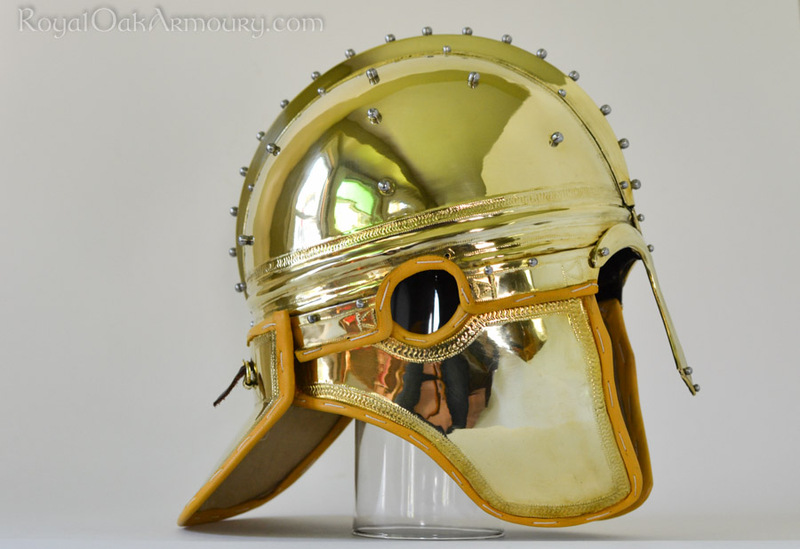 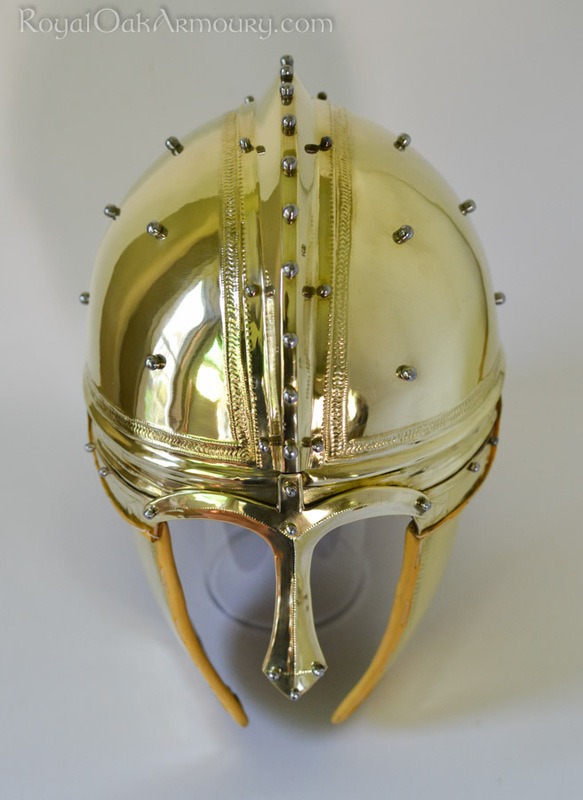 It is built as a steel bandhelm, and covered with highly polished, decorated brass foils, and assembled with hand-made sphere-headed rivets. 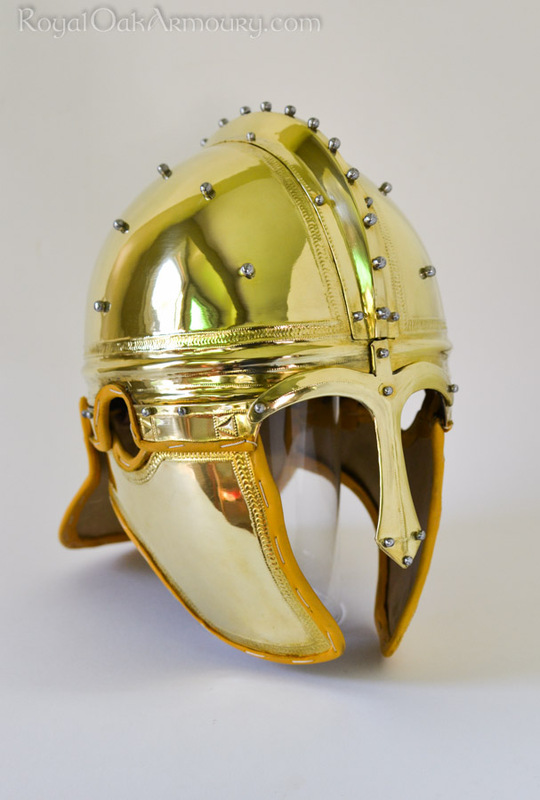 The helmet is edged and lined in goatskin, which is available in different colours. Construction with gold-plated silver rather than brass is a possibility – albeit an expensive one.